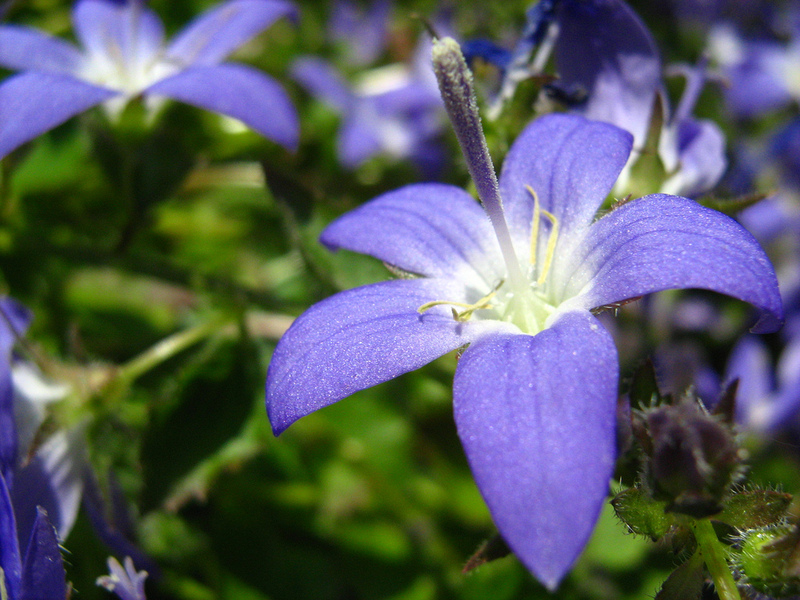 Campanula has very similar flower (color and shape) to Periwinkle as well as similar tolerances. 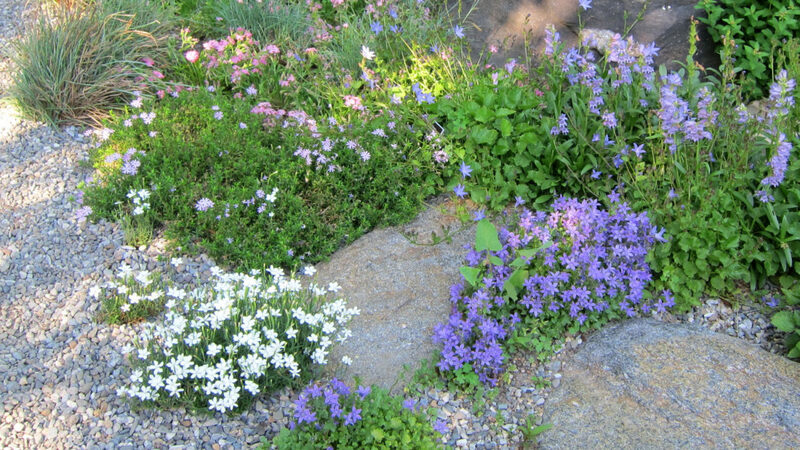 It is an excellent choice for use as a groundcover in small areas. 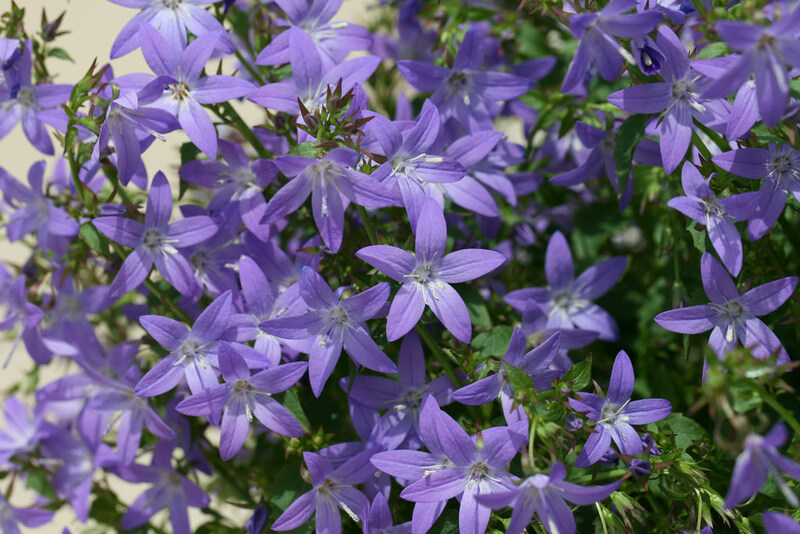 Campanula is a perennial with a vigorous growth habit, mounding to eight inches high and spreading. 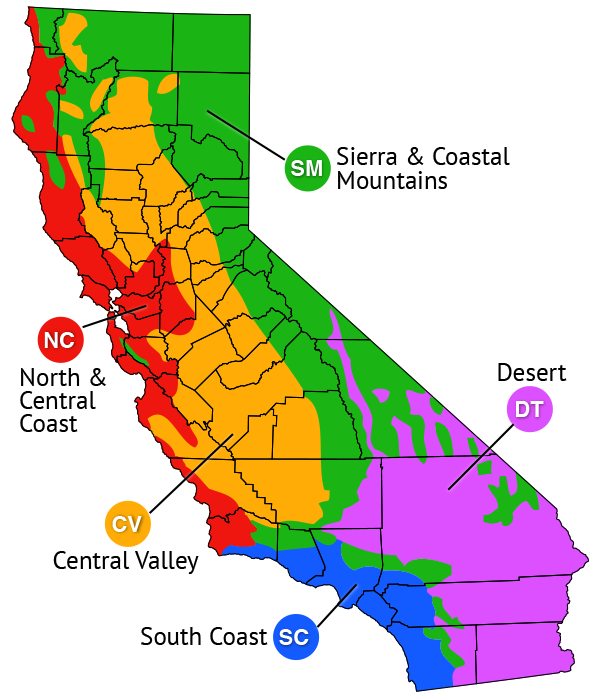 Plants are semi-evergreen in most regions to evergreen in warmer climates, depending on winter severity. Additionally, plants can spread from roots, and can be divided to increase plantings. Flowers appear in spring to early summer on one foot tall stalks. 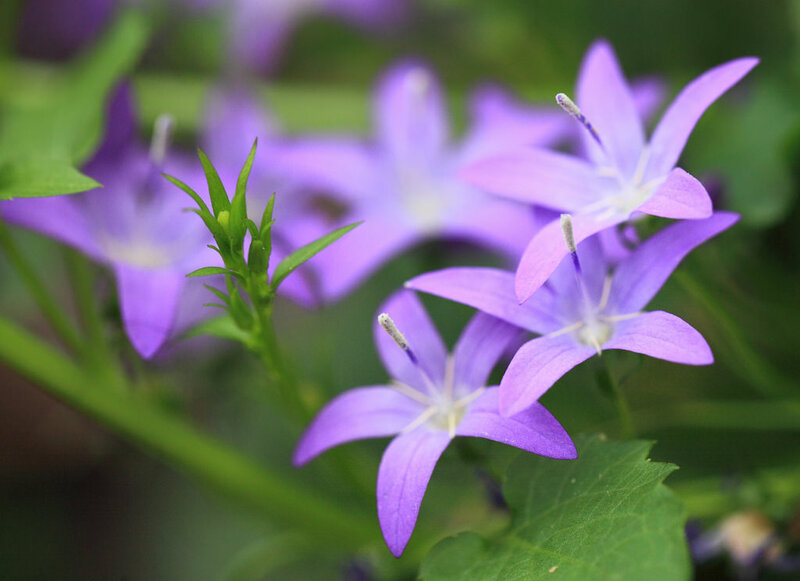 The one inch star shaped flowers can be blue-lilac, lavender, or white. 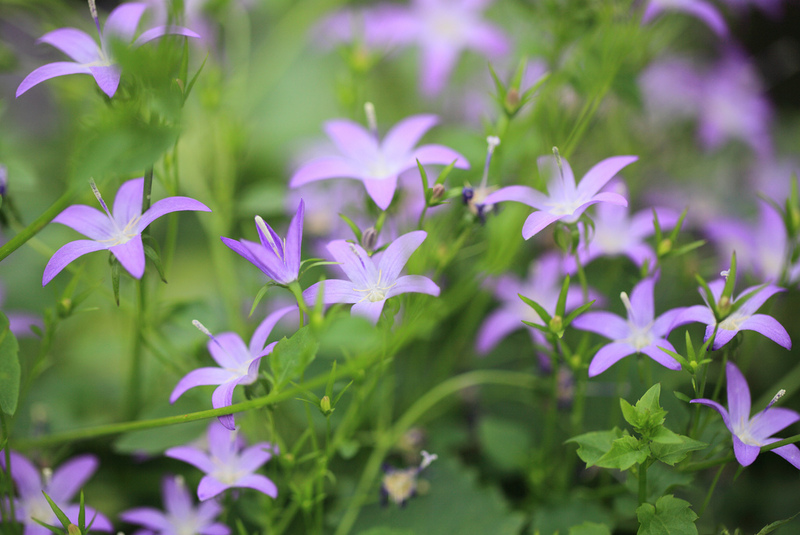 The heart-shaped foliage is one to three inches long and wide with serrated edges.